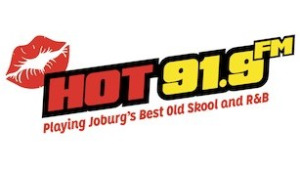 Hot 91.9FM announced that, due to the response to the Mango Groove 30th Anniversary Concert at the Teatro at Montecasino on Friday, March 8, a new date has been added. The second concert date is Saturday, 9 March. Mango Groove lead vocalist, Claire Johnston, spoke to the Mansfield in the Morning team on Hot 91.9FM's breakfast show on Wednesday, 6 February and said: "2019 is a big year for us, as we will be celebrating the 30th anniversary of the release of our very first album, Mango Groove." Host Jeremy Mansfield says he was delighted to announce on the show that "the first concert is officially sold out and a new date has been added." The Mango Groove album became one of South Africa’s biggest-selling albums (over 25-times platinum) and included tracks such as Special Star, Dance Some More, Hellfire and Move Up. Saturday, 9 March – Tickets from R300 now available at Computicket.